24” split bottom surf rack pads fits Thule Rapid Aero bars, Xsporter and most factory racks. High density foam padding provides maximum surfboard or stand-up paddle board protection. No-fade UV resistant fabrics for long term durability. Sewn-in hook and loop straps and convenient bungee cinch-cord ends allow for fast and easy installation, removal and adjustment (tie-down straps sold separately). 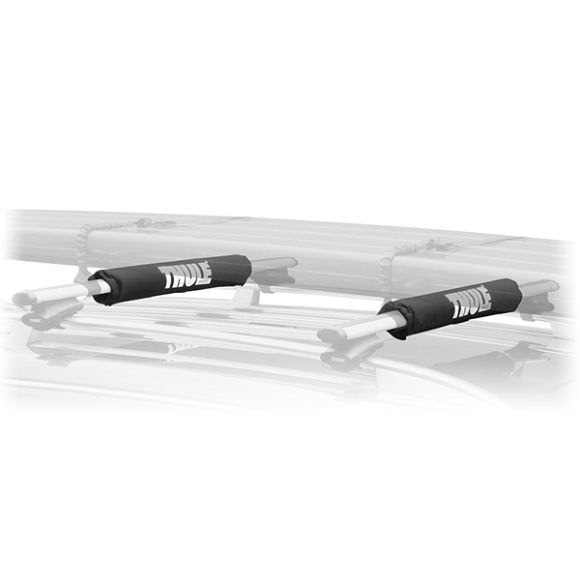 Fits Thule Rapid Aero bars, Xsporter and most factory racks (model #804 Ð 24” wide).